SchoolCircle is a free service that is designed to help elementary school teachers organize communication to the parents of their students. SchoolCircle offers many of the features of Google+ Communities without the need for parents to join Google+. Through SchoolCircle you can create an online community for parents of students in your classroom. You can use SchoolCircle to send messages, organize tasks for parent-volunteers, and post updates about things happening in your classroom and in your school. Parents don't have to sign into SchoolCircle everyday because you can choose to send a daily digest of updates to their email addresses. If you're looking for a way to streamline your communication to parents, SchoolCircle might be what you need. It provides a solution that is a little more robust than email contact lists while not being so complex that it will take you or your students' parents a long time to learn how to use. My one wish for SchoolCircle is that they develop an option for sending text messages to parents. A couple of weeks ago I shared the news that Remind (formerly Remind 101) was planning to launch voice greetings and a feedback option. Those services are now available in the Remind mobile apps. You can now create short audio messages to send to students and their parents. Messages can be up to fifteen seconds long. Voice messages can be sent to individuals or to groups. 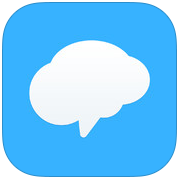 Stamps is the new feedback mechanism available through Remind. Students and their parents can now reply to your Remind messages by selecting one of four stamps to indicate that they have received your message and their thoughts about your message. For example, a student can use a question mark stamp to indicate that they don't feel prepared for an upcoming quiz. Much like I pointed out in yesterday's post about ClassDojo's voice message option, the Remind voice message option could be a better option than a text message when you want to convey your enthusiasm for the improvement that a student is making in your classroom.